Wow it has been a long time. A new year has started and I thought I would post a card to my neglected blog. 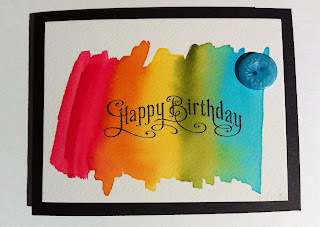 This card was made using my reinkers and water color paper from Stampin up. I used the paint brush below that holds water. I then picked up my ink with the paint brush and applied directly to the watercolour paper. 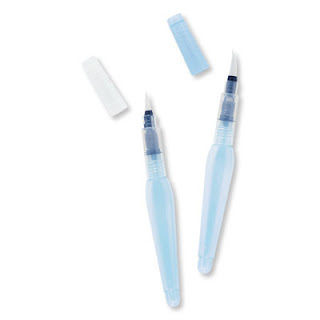 Because the paint brush itself holds water, it makes it easy to more the ink around the paper. 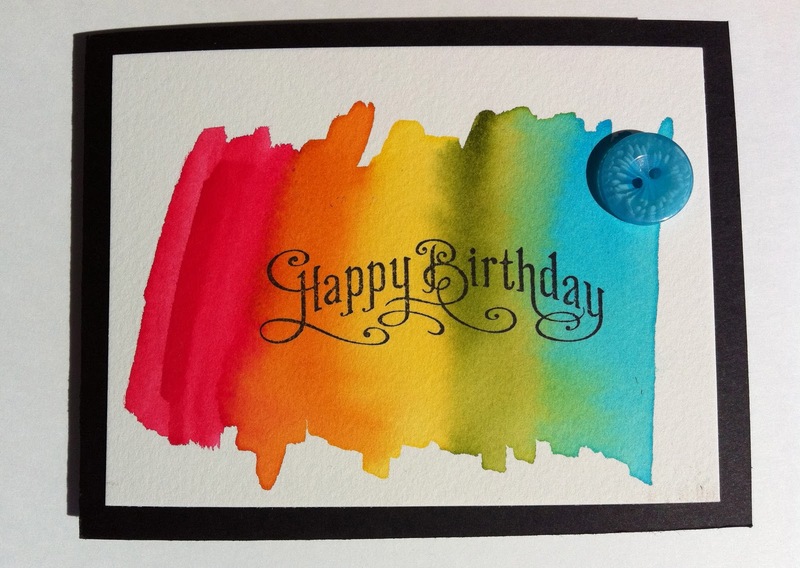 I then let the ink dry and later stamped my Happy Birthday image overtop. Lastly I added a button to add some dimension. 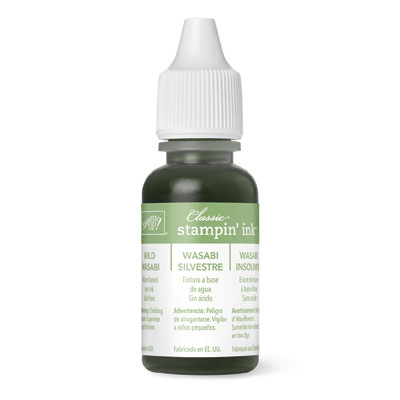 This card is fairly easy to make if you have the supplies. You can certainly use any colour combinations you like. The colours I choose to use were real red, pumpkin pie, daffodil delight, old olive & tempting turquoise. Stamp set used is Perfectly Penned.